Update June 2018: Since this post was written the team has found greater efficiency in publishing quality data to the Ethereum blockchain where our token is hosted. By using the Ethereum blockchain instead, it closes the loop on use of the token and the important quality data that we publish. Hyperledger is a great platform but for the sake of efficiency and consistency we will publish data the Ethereum blockchain. During ClearCoin’s utility token sale, we have highlighted the fact that we have an available utility for the token through managed services programmatic ad buys. Much of the national news we have made discusses the benefits of Distributed Ledger Technology (DLT) for the advertising industry. While the ClearCoin (CLR) utility token is built on the Ethereum blockchain, we are deploying a separate blockchain for our DLT which tracks and grades advertising inventory and impressions with full fraud and non-human activity detection. For the advertising DLT, we are now working with The Linux Foundation’s open source Hyperledger project. Hyperledger is creating enterprise-grade, open source, distributed ledger frameworks for use-cases like ours. Note: The Hyperledger deployment does not create a new token. It serves as the ledger for tracking data. The first implementation we are working on is with Hyperledger Fabric, a foundational product for development of blockchain solutions and applications. One of the resolutions we have already made is on the issue of block size. Digital advertising campaigns can work at incredible scale and speed delivering billions of impressions in a month. Advertising inventory and impressions that we are tracking will need to be grouped and graded to conserve the size of each block. It is estimated that Bitcoin can fit 2,020 transactions per block. A new Bitcoin block should be found by miners every 10 minutes. These constraints are often discussed as the limitations that may limit Bitcoin’s use a mainstream transaction method. These limitations of data per block will not be an issue for ClearCoin’s implementation. A later implementation we are considering is the use of Smart Contracts to streamline the billions of dollars of media buying transactions happening yearly. The advertising technology industry has given way to battles between supply chain partners on which partner originated fraudulent or non-human activity. These battles can be long and drawn out with neither side happy with the resolution. A Smart Contract could call in an agreed-upon ad fraud tracking partner and a Distributed Ledger Technology to measure the activity of the campaign. The Smart Contract would have an agreement where if a percentage of inventory was non-human, the other side is entitled to a partial refund or rebate. The use of the Smart Contract would eliminate the long and drawn out battle between partners. 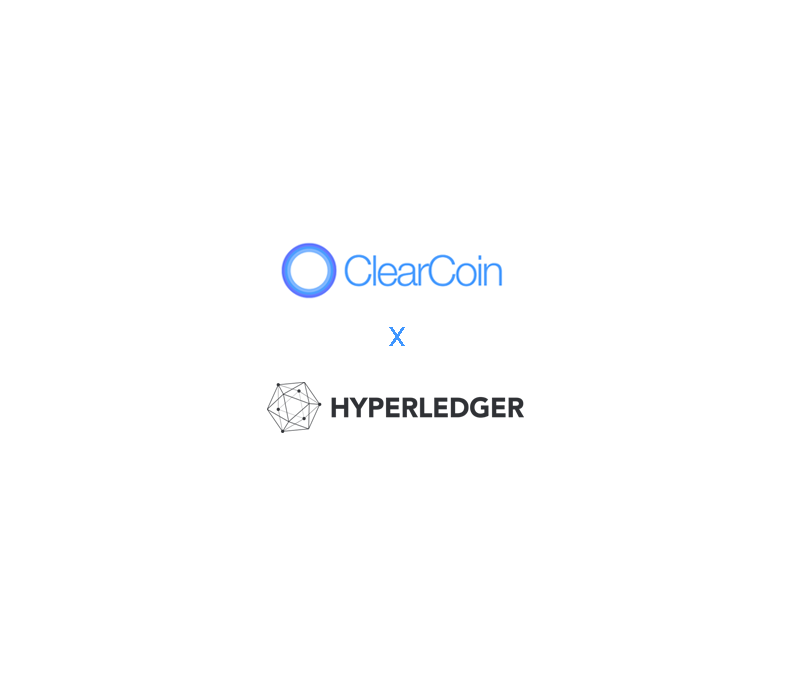 ClearCoin’s work with Hyperledger is a first milestone of the impact that blockchain will have on the advertising and media industry. The Distributed Ledger Technology (DLT) is likely to be popularized in a number of different industries to streamline business transactions, eliminate middlemen, and save costs for all parties in the transaction. ClearCoin is pushing forward the use-case for DLT in advertising technology in an industry that needs to streamline processes, save on costs, and increase trust and efficiency.